During the cold and cloudless night at 04:00hrs in the early morning of October 16, 2006 the people in the Dhar Al Nema and the Hodh Ech Chargui regions were alarmed by a bright and long lasting fireball that appeared in the north-east. The phenomenon was visible at least up to 140 km north-east and 90 km south of Bassikounou. The area in which the descending fireball could be seen covers about 36,000 km2 of mostly unpopulated desert. The limited number of eye witness reports (17 in Bassikounou, 6 in the Dhar al Nema, 6 in other locations) from the isolated area however includes a considerable uncertainty factor in the direction and duration of the phaenomenon and in the area of visibility. Eyewitnesses from Bassikounou explained that three burning spheres could be seen descending from the skies with a breathtaking speed. The eyewittnesses from the Dhar al Nema described one fireball as “bright as day”, “enormous” and “too bright [to look at]”. All eye witnesses are consistent in that the fireball(s) travelled with enormous speed and lasted 30 -40 seconds. Some claimed that it lasted “one minute”. In the last seconds of the phenomena the three fireballs culminated in an “explosion of light” and sparks during which “the night became as bright as day”. This final eruption of emitted light lasted at least four or five seconds indicating that the final break-up of the meteorite occurred successively. Apparently, the fireball could also be seen from the area 11 -19 km east of Bassikounou where the meteorite fragments fell. Unfortunately no detailed description on the light phenomena could be obtained from there. All witnesses in the Bassikounou area and east reported “thunder” and “thunder like sounds” accompanying the fireball. Because thunder in Mauretania is always a sign of rain and the latter being existentially important for the cattle and goat breeding nomads everybody got up to see where the thunder came from and where the rains may fall. As no clouds could be seen and the noise grew abnormally strong panic broke out in a number of villages and particularly in the city of Bassikounou. Several people told our correspondent Mohamed Yahya Ould Abdel Wedoud that they were convinced “an earthquake” or “Doomsday” is coming. “Some people were scared, puzzled and completely lost. They did not know what was happening in the nature around them and the old people told them that they had never experienced anything similar falling from the skies. Some began to pray to Allah”, Mariem Mint Yebbe reported. Title page with Bassikounou-teaser and story on page 4 of Horizons, Nouakchott, published on October 25, 2006. In the early morning of October 22 and in the shape of a press release of the official Mauritanian press agency Agence Mauritanienne d’Information, the first official statement on the meteorite fall was issued. 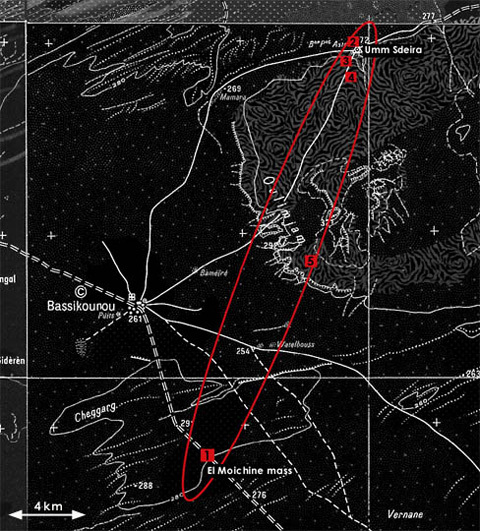 The ten line report was headlined “Chute d’un corps lumineux aux environs de la ville de Basseknou” or “Fall of a luminous body in the area of the village of Basseknou”. This report was multiplied also by several radio stations via short wave the same evening. After the broadcasting of the report the editorial department of the AMI was flooded with calls of locals who requested additional information on the event. These callers were told that a government investigation is proceeding. Via the Mauritanian embassy in Berlin the authors tried to learn more about this investigation and offered to share their sources and the information obtained. Until present the Mauritanian embassy did not reply. Three days after the first press release on October 25, the very same report with the omission of three words only was published in Horizons which is the leading Mauritanian newspaper based in Nouakchott. A teaser on the title page announced “BASSIKNOU : Chute d’un corps lumineux”. The article mentions the fireball of October 16, the observations from the Dhar al Nema area and the recovery of material through the Army on the morning of October 16. 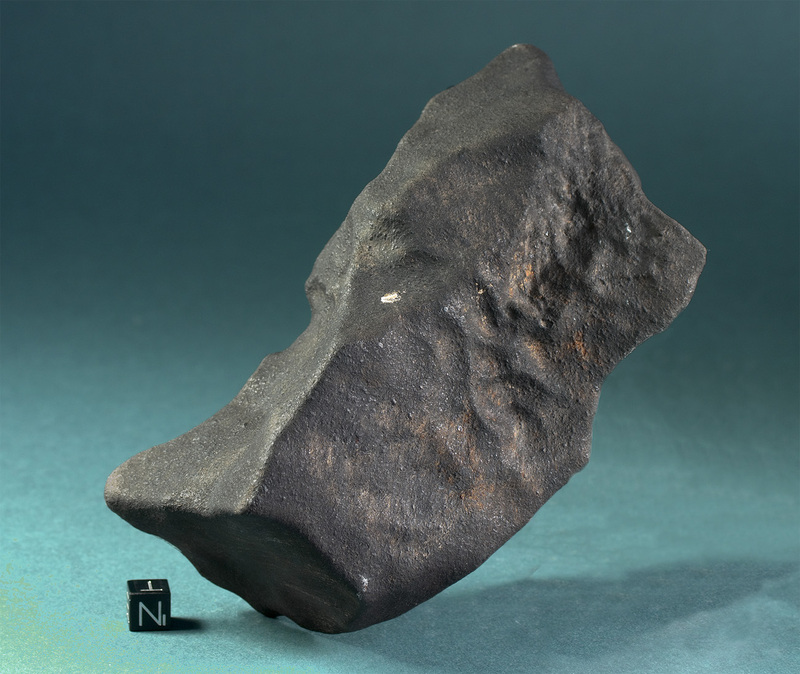 It also claims that parts of the impacting meteorite produced a large chasm in which remains of the meteorite have been found as well. As expected no confirmation on this particular impact structure could be obtained from the author’s communication with locals in Bassikounou and the surrounding area. It must be assumed that the chasm mentioned was a geologic or artificial structure prior to the meteorite fall and that meteorite fragments fell on it coincidentally. Travellers passing through the area learned that an impact pit was found from which fragments of a total weight of 10kg have been recovered. Because it was also reported that the Army visited this location and excavated another 300 g it is possible that the chasm mentioned above was in fact this impact pit. It might as well be assumed that the original report to Agence Mauritanienne d’Information was already affected by local superstition and imagination. Many of the eyewitnesses interviewed claimed divine or satanic activity responsible for the event and more than once the “upcoming doomsday” or the “opening of the earth’s surface” and the “gates of hell” were brought in correlation with the meteorite fall. 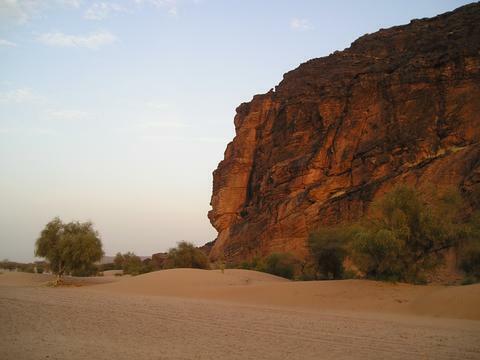 In the early morning after the fall detachments of the Mauritanian Army stationed at the nearby border to Mali arrived at the stage and seized an unknown number of meteorites collected by the locals. This happened at Umm Sdeira and in a number of settlements along the southern piste from Umm Sdeira to Bassikounou. It is most likely that these detachments did collect meteorites as well. After the news of the black stones that fell from the skies had spread people arrived as far as from Koussana to search for them. Neither the locals nor the Army kept records on the find locations of the masses collected. Adherent soil and mass distribution are therefore the only indications for a reconstruction of the distribution pattern and the relative find positions within the strewn field. The locals in the strewn field area soon started to market their cosmic harvest: “I was in Bassiknou city during the meteorite fall last year, but a friend of mine brought to me some fragments of the rocks that rained down that night. At this time they were already being sold to tourists. The majority of the pieces I saw were absolutely black and only few were colourful. When you look carefully at them you will find out that they are not normal stones”, Mohamed, the Imam of the Bassiknou mosque explained. At the same day, at 13:00 hrs, local resident Mr. Ahmed Salem El Moichine found a single stone of 3165 gm 11 km south-east of Bassikounou. Coordinates for this find location are given with 15° 47’ N 5° 54’ W. Both points, Umm Sdeira and the find location of the El Moichine mass suggest a strewn field axis of 210° in south by south-westerly orientation. The find location of the El Moichine mass plots in an area with red sandstone bedrock which explains the distinct red-orange impact marks on this mass. Because at least four larger masses than the EL Moichine mass have been recovered, one must assume that the strewn field expands well beyond the find location of the 3.165 kg mass. As no further find coordinates have been reported one can say that the strewn field axis extends over a minimum distance of 23 kilometres.